Puff, puff, pass the e-cigarette. To the tune of about $2 billion in retails sales this year. That's a lot of smokeless vapor for an industry that only a few years ago looked like a fad. Now with substantial consumer adoption and brands and techies on the bandwagon, e-smoke might be the next big thing to blow. Napster cofounder Sean Parker is part of a group that invested $75 million in NJOY, an electronic cigarette manufacturer. Also part of that deal is Founders Fund, a venture capital group started by PayPal cofounder Peter Thiel, who ironically helped finance the anti-tobacco film "Thank You for Smoking." 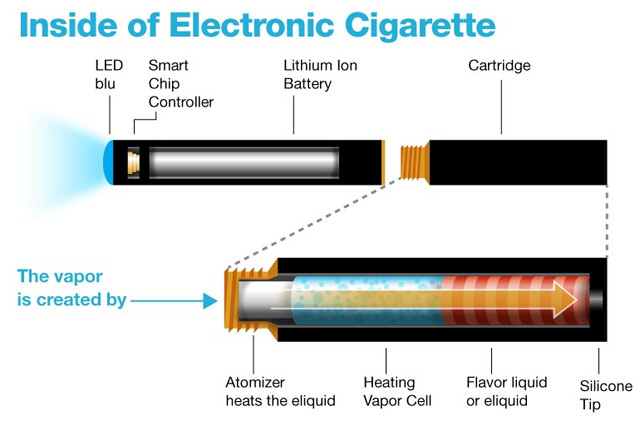 So what is an e-cig? Mouthpiece, battery, filament-heater and nicotine filled cartridge. Some resemble a ballpoint pen, cigarette, cigar or pipe. Replaceable cartridges make most reusable. Others are for one-time use. Some have glowing LED tips. Taking a drag triggers the heating element, warming inhaled air traveling through the tube and vaporizing nicotine inside. When users exhale, they're blowing a vapor, not smoke. Because there's no fire, there's no tar or carbon monoxide inhaled. But that doesn't mean there aren't any risks. The FDA has been investigating whether or not there are carcinogens present in e-cigs, and has warned of safety risks since 2009. Studies of the nicotine solution and resulting vapor showed trace amounts of carcinogens typically found in tobacco smoke. Another study revealed "vaping" for just 5 minutes made breathing more difficult; chemicals in the nicotine can cause increased asthma risk and respiratory inflammation. Worse, tests of nicotine refills showed some toxicity to human cells, and due to contamination by heating, some vapor contained small metal particles. In June, Mitch Zeller, the FDA's tobacco czar described the e-cigarette market's spotty regulation as "the wild, wild west." 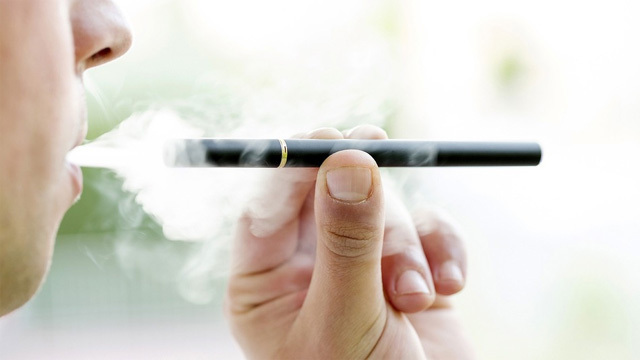 E-cigs may not be as bad as the alternative, but inhaling anything but air is unhealthy. The first e-cigarettes were made by Golden Dragon Holdings, a Chinese company that started exporting the devices in 2005. Eight years later, of the 45 million smokers in the U.S., 2.5 million are e-smokers. Sales and use have been rising steadily. Wells Fargo Securities analysts say vapor products will generate $1-2 billion in retail sales this year, exceeding $10 billion by 2017. It's no longer socially acceptable, or legal, to light up in most public spaces in the U.S. — unless it's an e-cigarette. Philip Morris plans to launch what it calls a healthier version of its cigarettes under the Marlboro brand. R.J. Reynolds Tobacco, the company behind Kool, Camel and Winston, is prepping its own e-cigarette, called Vuse.